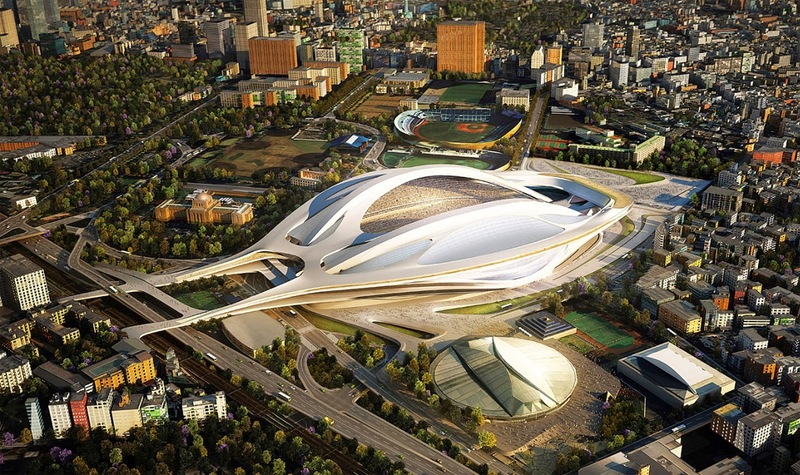 I have no doubt that the new National Stadium in the centre of Tokyo will be up and ready in time for the 2020 Olympics. However it actually needs to be ready for the 2019 Rugby World Cup which seems to be slipping by in everyone's memories at the moment. The key question of course exactly which stadium it will be; the current spectacular, though currently controversial design, or a local re-hash in a measured capitulation to the architectural profession here. The cost of the project is now spiralling however with national debt approaching 250% of GDP it's hard to argue that an extra couple of billion dollars are going to make much of a difference. And diverting this cash to rebuilding Tohoku is also a non-issue as the money for that is already sitting in bank accounts and simply not being spent fast enough. But a new stadium is a necessity and it should be something that makes a statement for the next sixty years. During World Cup in 2002 it was a sad indictment that not a single game was played in the capital city of the host nation, the final being played in Yokohama. The old stadium was showing it's age, too small, uncovered and generally in need of knocking down. The issue here though is that the arguments against the choice of stadium came to the surface only after the Olympics had been awarded and the stadium itself was a central element of the proposal. Japan made a commitment to the world. Build Zaha Hadid's design.